The gulf of Eilat (Aqaba) is small, with an area 1% of the total area of the Red Sea. Like the Red Sea, it is deep – 1869m (1000 fathom), shallow and narrow at its entrance from the Red Sea proper. Water temperature, <20C in winter, and a salinity of 4.1%, limit the distribution of tropical fauna and flora. Yet, the Gulf is known for its high biodiversity, and many endemics. More than 1200 fish species and smaller or larger invertebrates are to be found in the Gulf. Most of them recoded in our site. The aim of this portal, and especially the web guides – is to direct you to the various phyla and classes of the Gulf's marine organism, and increase public awareness to their presence and wellbeing, and thereby facilitate their preservation in face of the imminent dangers, due to careless urban development and of negligence. 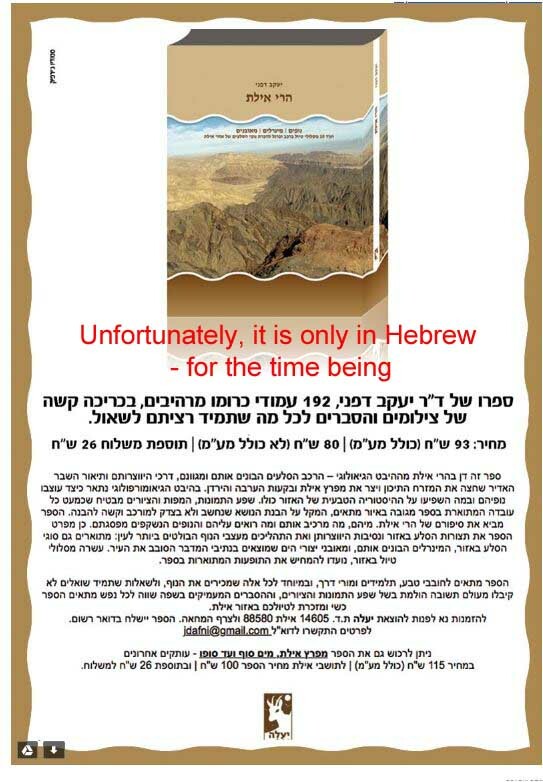 Other sites – in Hebrew – contain other educational materials. Visitors are encouraged to enter personal site, communicate with the author, and contribute information and comments. Read the English version of the free digital book "ECHINODERMS - STRANGE IS THEIR MIDDLE NAME"